Jim is one of seven siblings. The son of a Naval Officer, Jim’s family never lived in one place very long. His family moved to Colorado in 1977 when his father’s engineering firm was chosen to rebuild the dam and power plant after the Big Thompson Canyon flood. Jim returned to California in 1978 to start, own and operate a successful seafood restaurant in San Diego until 1992 at which time he decided to change careers to aviation. He was a flight instructor in San Diego when his father asked him to come back to Colorado to help with the family real estate business. Jim obtained his real estate license in 1994 and has called Colorado his home ever since. Over the past 19 years, Jim’s professional approach to marketing Seller’s properties or finding the right property for his Buyers has made him one of the top agents in the Front Range. Approximately 80% of Jim’s business comes from past customers and referrals. He prides himself on treating each customer as if they were his only customer and gives them the one-on-one attention they want and deserve. 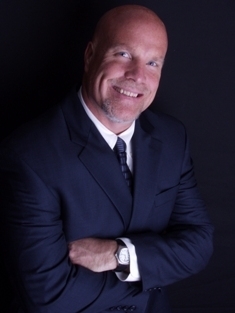 Residential Properties: Jim has 19 years experience in residential home sales and marketing including Boulder, Longmont, Loveland, Berthoud, Mead, Erie, Louisville, Frederick, Firestone, Platteville and Fort Lupton. Farms, Ranches and Vacant Land: Jim has sold small and large acreage, rural properties, mountain properties and farms and ranches in many parts of Colorado including Weld, Larimer, Boulder and Morgan Counties. Short Sales, Foreclosures and investment Properties: He also works with first time homebuyers, short sales and foreclosures, investment properties and 1031 exchanges. Water Rights and Mineral Rights: Jim has extensive knowledge of water rights and mineral rights. Jim is a member of the National Association of Realtor, the Colorado Association of Realtors and the Boulder and Longmont Association of Realtors, and the Longmont Chamber of Commerce. Jim volunteers his time with the MS cycling fundraiser and Community Sailing of Colorado. Jim is the proud father of four children and grandfather of five. Jim enjoys the incredible lifestyle of Colorado and his hobbies include flying, cycling, hiking, weightlifting and hunting. Whether you are interested in residential, land, income property or investments in the Colorado Front Range including Weld, Larimer and Boulder Counties, let Jim put his expertise to work for you.